Did you know that the city of Scottsdale’s Human Services department makes a huge impact in our community each year? Scottsdale’s Human Services department supports residents with a variety of needs including emergency home repair, affordable housing, social services, career & food assistance and community connections. 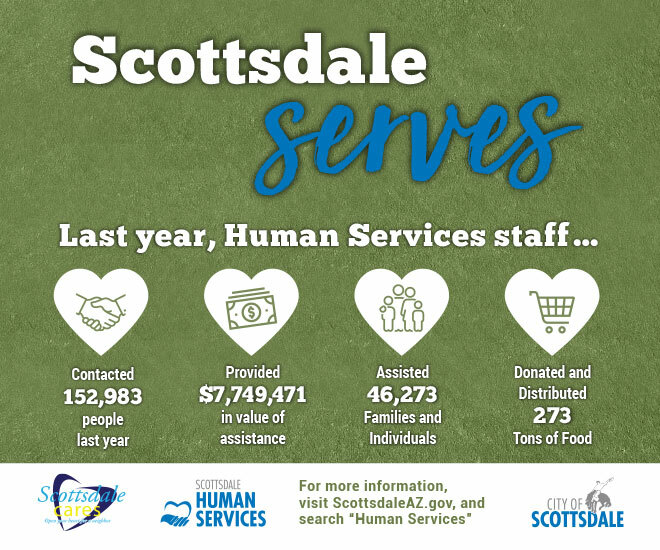 Learn more about how Scottsdale Serves by visiting ScottsdaleAZ.gov and search ‘human services’.